Gain excellent work experience at competitive hourly pay rates– OEP interns gain project management and teamwork skills in an office environment. Their job duties and responsibilities, and performance expectations, are similar to those of entry-level employees, such as college graduates, working in business and industry, non-profit organizations or public sector jobs. Hone leadership skills– Bolstered by their OEP work experience, many interns have served as elected presidents and officers of the EcoHusky student group and dozens of other student organizations, ranging from EcoGarden to Engineers Without Borders and USG. 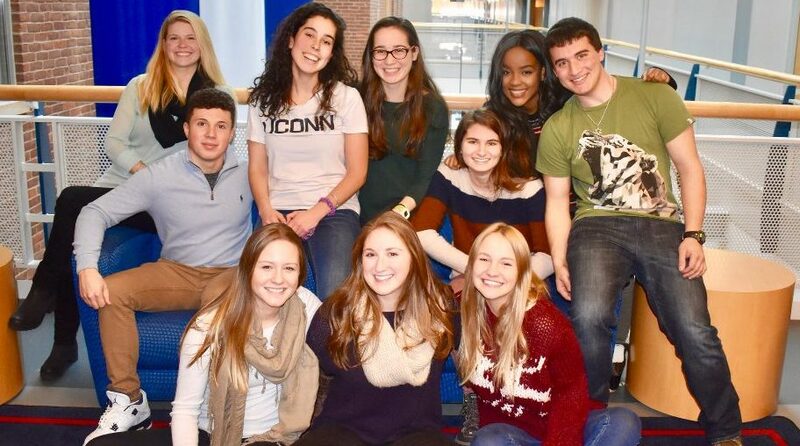 A few interns have been captains of UConn varsity and club sports teams while others have been nominated for (and even won) the University’s most prestigious student leadership awards. Win academic scholarships– Over the past 15 years, OEP interns have won 3 national Udall/Environmental Policy scholarships and 2 Udall Honorable Mention scholarships. Dozens of others have been among the select few students nominated annually by UConn for this coveted, national award. Our interns have also won other scholarships and fellowships during and after their UConn years, based on both their academic excellence and OEP work experience. Be accepted at prestigious graduate schools- Recent OEP interns are attending and working towards graduate degrees, or have received graduate degrees, in a range of environmental disciplines from programs here at UConn as well as Yale, Columbia, Brown, Duke, Cal Santa Barbara, Vermont Law School, Colorado (law school), Oregon State and Imperial College of London. Pursue an environmental or sustainability-related career– Former OEP interns currently hold or have held positions, ranging from entry level to management, at United Natural Foods, Inc., Waste Management, Inc., Sunlight Solar Co., the CT Green Bank, the Environmental Defense Fund, Housatonic Valley Association, Siemens Energy, Inc., Fuss and O’Neill, BL Company, GZA, UTC, Northeast Utilities (Eversource), Dominion Energy, and the Hampshire Council of Governments, plus financial services firms such as HAIG in Boston and RBS in Stamford. Past interns have also held various positions with the CT DEEP, the Peace Corps, and the Student Conservation Association after leaving UConn. Join a team of high-achieving, environmentally-focused undergraduate students as an intern at UConn’s sustainability office! The OEP hires interns during the spring semester, with work typically beginning in the fall semester (summer if desired) and continuing throughout the academic year. Office continuity is vital to our success. We value dedicated and reliable interns, who will earn increased responsibilities and leadership roles as they gain experience and effectiveness working in the OEP. Email envpolicy@uconn.edu with “Sustainability Internship” in the subject line.